A health writer’s first attempt at expressing results from a new observational study read, “Frequent fish consumption was associated with a 50% reduction in the relative risk of dying from a heart attack.” Her editor’s reaction? Slash. Too wordy, too passive. The editor’s rewrite? “Women who ate fish five times a week cut their risk of dying later from a heart attack by half.” This edit seems fair enough – or is it? The change did streamline the message, but with a not-so-obvious, unintended cost to the meaning. Was the subjects’ fish consumption really responsible for their dying less frequently from heart attacks? The new wording suggests that’s the case, but the original study does not support a conclusion of cause and effect. Epidemiologic – or observational – studies examine the association between what’s known in epidemiologic jargon as an exposure (e.g., a food, something in the environment, or a behavior) and an outcome (often a disease or death). Because of all the other exposures occurring simultaneously in the complex lives of free-living humans that can never be completely accounted for, such studies cannot provide evidence of cause and effect; they can only provide evidence of some relationship (between exposure and outcome) that a stronger design could explore further. In other words, observational studies cannot distinguish direction–whether exposure A influences outcome B, or B influences A, or both are influenced by something else, even if that association may be strong and consistent. What other design could illuminate a causal nature and direction of the relationship, if present? The only study design involving humans that does rise to the level of demonstrating cause and effect is a randomized trial. In this design, study subjects are assigned an exposure (or a control condition) at random, irrespective of any other exposures in their lives, and all such other exposures are then assumed to even out between the treated group and the control group of subjects (and this can be demonstrated). As a result, the only difference between the groups is whether they receive the exposure under study or the control condition. This approach is a true experiment. Any difference in outcome seen between the control and the experimental group should be due to the one factor or variable that differs. Because observational studies are not randomized, they cannot control for all of the other inevitable, often unmeasurable, exposures or factors that may actually be causing the results. 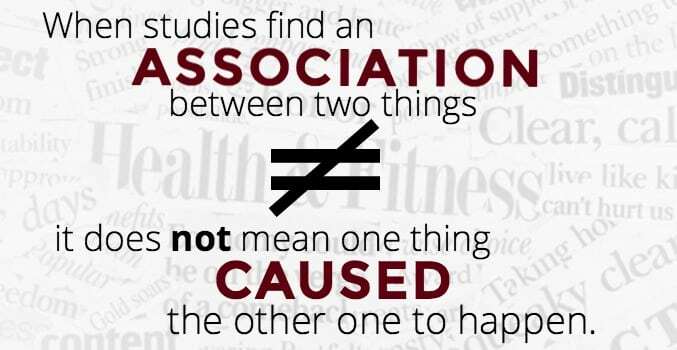 Thus, any “link” between cause and effect in observational studies is speculative at best. In reporting on observational research, language here is crucial, because the audience may not be familiar enough with epidemiologic evidence and study design to appreciate the nuances. To a general audience, language such as, “fish consumption is linked [or tied] to the risk of heart attacks” may sound causal even when a causal relationship is not warranted. A subtle trap occurs in the transition from the cautious, nondirectional, noncausal, passive language that scientists use in reporting the results of observational studies to the active language favored in mass media. Active language is fine in general – who wants to write like a scientist? But problems can arise when the use of causal language is not justified by the study design. For example, a description of an association (e.g., associated with reduced risk) can become, via a change to the active voice (reduces risk), an unwarranted description of cause and effect. There is a world of difference in meaning between saying “A was associated with increased B” and saying “A increased B.” The difference may seem subtle in terms of language, but is large in terms of meaning. Indeed, in practice, a shift to causal language can occur at any stage: writing, editing, or headline composing, with similar effects on meaning. Without attention to the underlying design of studies, distortions of wording can creep in that could lead readers to overestimate the meaning of a given study and possibly even make life choices that the evidence does not warrant. Another problem for journalists may arise in the language that scientists themselves and others use to describe the results of observational studies. Sometimes even scientists and press-release writers slide into causal language in expressing results of observational studies. You may find that language in a scientific publication is carefully chosen for the conclusion in the abstract or in the text, but not used so strictly in the discussion section. Thus, borrowing language from scientific papers warrants caution. News writers sometimes attempt to qualify results by using such words as “seems,” “may,” or “appears.” These words are intended to convey uncertainty, which is a healthy impulse when describing imperfect studies (i.e., most of them), but they still leave the reader with the idea that, however uncertain the results, the relationship between the exposure and the outcome is one of cause and effect. 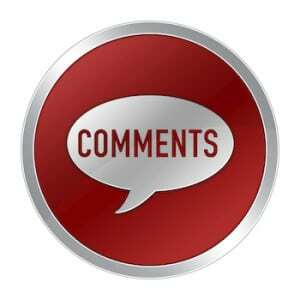 The health journalist has an opportunity to add great value to the piece by offering context. Virtually all research occurs in the context of previous work. The meaning of new research is impossible to appreciate without taking into account existing research. There may be inconsistencies and uncertainties in the existing data, and possibly important controversies among scientists working in the field. Because a single new study can rarely stand alone in what it means, we suggest that health journalists focus, where possible, on helping the audience understand the limits of the new research and how it fits into the existing body of knowledge. In our view, the journalist can add the most by providing balanced, thoughtful context. This will ultimately help the general audience better appreciate the scientific process and more fully grasp the meaning of new results. CONCLUSION: An important part of reporting results of research in health news lies in attention to language that may in subtle ways imply cause-and-effect relationships, where the underlying study design does not warrant such language. We urge health care journalists to be mindful of when causal language is warranted by the study design and when it is not. Health journalists’ vigilance for these subtleties will result in more accurate communication of research findings to the public. This, combined with providing relevant context, will hopefully lead to the more scientifically literate audience that the editors of the New England Journal of Medicine sought in writing the 1994 editorial entitled, “Clinical Research – What Should the Public Believe?” (Angell M, Kassirer JP. NEJM 1994;331:189-190). Thanks for this article–I teach this concept to my community college nutrition students as I think that knowing how to understand media coverage of health and nutrition is one of the most important skills I can hep my students learn! Great summary of an important topic. Misinterpretation of study results is rampant among journalists and their readers alike; I applaud this effort. Please note, clarity of your points would be improved by adding apostrophes to the possessive nouns (writer’s, editor’s, and subject’s) in the first paragraph. Thanks Dennis for the comment. When migrating the site from a previous iteration to its current home, some older content did not make the journey intact, including in some cases apostrophes that were included in the original text. We are updating these pages as they are identified and have time to do so. Thanks for reading and for pointing this out. Whilst I appreciate the concern this article has, I think it risks making a journalist look foolish if a randomised trial is stated as the only way to assess causation, when in fact a randomised trial would be impossible, such as the investigation of the link between alcohol use and breast cancer. Statisticians try their best to allow for confounding factors and a number of studies have shown strong accordance between well conducted observational studies and randomised trials of the same risk factor. However it may be impossible for a journalist to decide whether the studies are ‘well conducted’ or not and he or she might be advised to seek the opinion of well established forums such as ‘Sense about Science’. That may, indeed, be a risk. Worse than foolish, though, a journalist is simply inaccurate by using causal language to refer to the results of observational research. We have plugged away on this theme for nearly 10 years on this project now. Included in what we’ve published have been reminders of some things that have only been found because of observational studies, and reminders, such as the following, that there can be flaws at any level of the hierarchy of evidence, including in randomized clinical trials. “Reading through all the main journals, and also a lot of the lesser ones, and also all the new Cochrane reviews, and also a lot of papers editors send me for review, I get pretty fed up with clinical trials. Like most people I wish there was some easier, quicker, cheaper, less futile way to get patient-important evidence. But here’s a great teaching article which contrasts the observational data about digoxin for heart failure with the evidence from clinical trials. Observationally, patients who are given digoxin tend to die sooner. But in clinical trials—admittedly mostly before the era of full “standard treatment” for HF—they did not die sooner and tended to end up in hospital a bit less often. The latter effect is so weak (RR 0.92), and hospitalisation is such a dubious end-point, that I still think digoxin is a drug which can safely be left in museums of medical history. But this study does illustrate all the insurmountable weaknesses of observational evidence, and it inspires a delightful editorial by Graham Cole and Darrel Francis, “Trials are best, Ignore the Rest,” a must for every collection of great pieces on the principles of evidence based medicine. I wish this problem were confined to journalists. I find similar errors in causal attribution in medical studies published in well-regarded journals. This often is compounded by private associations picking up findings somewhat selectively and publicizing them. Careful scrutiny of many of the standard health recommendations given to patients suggests a lamentable lack of solid, outcome-based causal inference. Perhaps training in research methodology needs to be strengthened in medical school curriculae? This article is an excellent resource to share with graduate students learning scientific and technical writing skills. I appreciate the explicit discussion of this important topic. As a public relations practitioner with 20 years experience in the healthcare & med device sectors, this article has been placed in my resource arsenal. I am also sharing it with my colleagues, as I am sure we have all been guilty of massaging language for press releases that ultimately (and unknowingly) skew the meaning. Thank you for your time & effort to provide this knowledge. Thank you so much for this article. But do you have one that addresses news headline writing for observational studies? That is the biggest problem I find in covering observational studies. I only have space for a certain amount of characters, so heding with the word “may” is the only solution I’ve come up with…though I understand that it still has the same cause-effect problem. But I haven’t been able to figure out a better way to write a short headline that is accurate. Thanks! Thanks for your note and for your interest in our work. First, I want you to know about our “Just For Journalists” writing tips page – https://www.healthnewsreview.org/toolkit/just-journalists-writing-tips-case-studies/. Great article! I’ve learned that whenever I read the word “may”, I simply read the same sentence using “may not” instead”. For example, “Eating more fish may not reduce the risk of heart disease”. Both statements are equally valid.